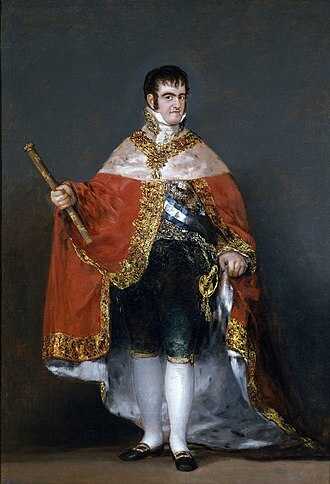 Infante Fernando of Bourbon and Braganza (full name: Fernando Maria Jose) (19 October 1824 – 2 January 1861) was a member of the Spanish Royal Family, and a supporter Carlist. He lived most of his life in exile with his father and brothers. 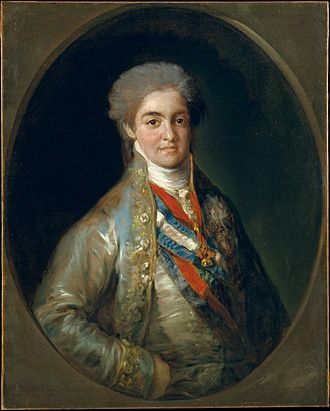 Fernando was born in El Escorial, Madrid, in 1824, during the reign of his uncle, Fernando VII. 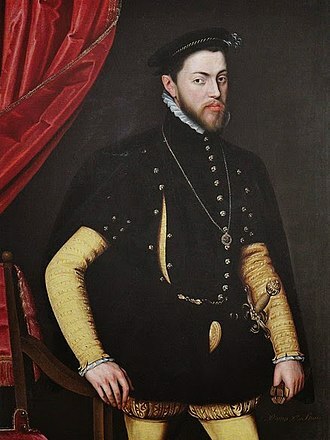 It was the third and youngest son of Infante Carlos, Count of Molina and his first wife, Infanta Maria Francisca of Portugal. His olders brothers were infants Carlos Luis and Juan. 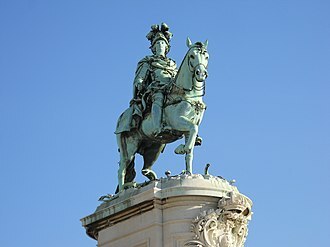 Her paternal grandparents were Carlos IV of Spain and Maria Luisa of Parma; her maternal grandparents were King John VI of Portugal and his wife, Infanta Carlota Joaquina of Spain. 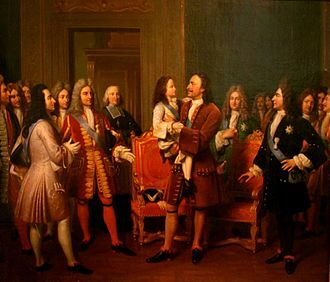 Genealogy of the Bourbon Dynasty: He was raised in an atmosphere imbued with traditional values of loyalty to the monarchy and the Church. 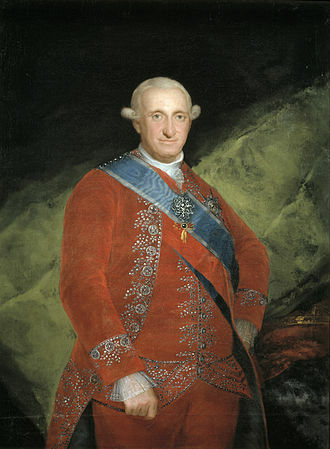 When Fernando VII was widowed for third time in 1829, it had no legitimate issue that could succeed him after his death. 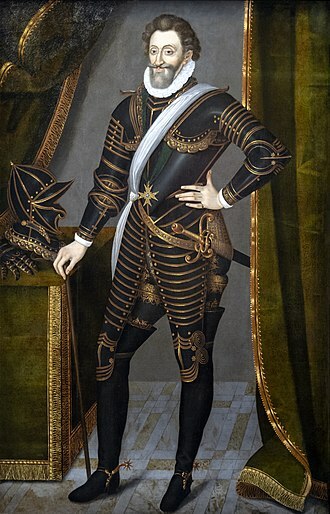 Given his advanced age and failing health, was unlikely marriage contrajese again, which became the infant Carlos, father of Infante Fernando, heir to the throne. 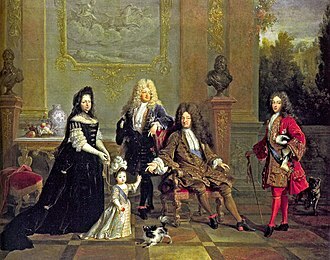 Around the infant, a clique of conservative and religious who opposed to the liberalism that prevailed in the Madrid Court, which would end even more when Fernando VII married his niece, Maria Christina of the Two Sicilies, the same year was concentrated, and became father of two daughters, Isabella and Luisa Fernanda. Suddenly, the succession was assured through the two girls. 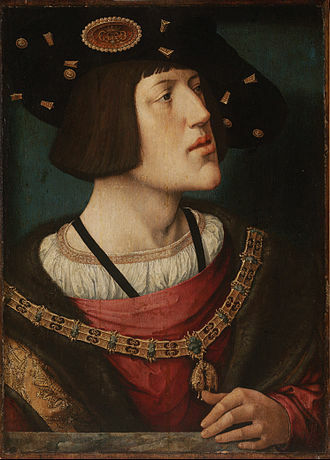 Carlos opposed the succession of his infant niece Queen Isabella II, whose mother the Queen Regent Maria Christina, managed to take control on behalf of her daughter. In 1833, Carlos, was exiled to Portugal, taking his family with him, including the young Fernando. Later, in June 1834 Fernando moved with his family to England, where they lived at Gloucester Lodge, Old Brompton Road, and later at Alverstoke Old Rectory, Hampshire. 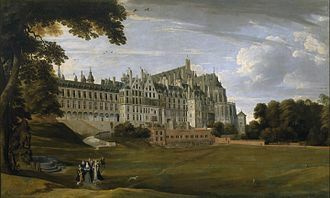 It was in England, where a year later Fernando's mother, Infanta Maria Francisca, died. 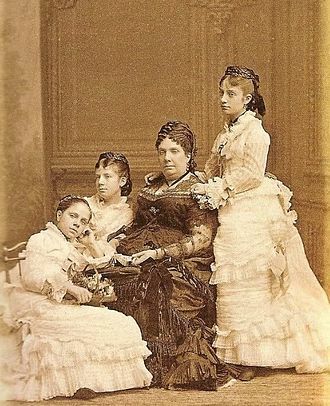 Her sons were in charge of their father and her older sister, Maria Teresa, Princess of Beira, who eventually married Carlos in 1838 during a brief stay of the family in Spain during the First Carlist War. By decree of the Queen Regent, Carlos and his descendants ceased to legally hold the titles of Infantes of Spain in 1834. The gap between the two branches of the Bourbon family, Elizabethan and Carlist would never close. 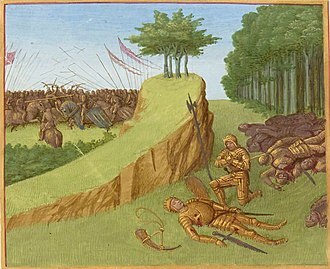 Thereafter, the infant Fernando lived under the shadow of his father, and after his brothers. He never married, and not was regarded as a pawn of marital politics of his family. Faithfully supported the cause of his father, but the failure of the Chartists in the First Carlist War and suffering poverty forced them to go wandering around Europe. 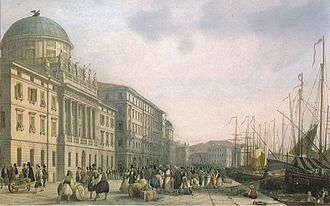 The infant Fernando settled in the city of Trieste (in present Italy) with his family. There his father died in 1855. 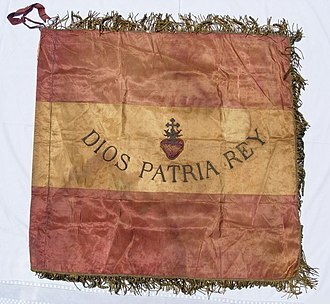 In 1860, during a Carlist rising, he and his brother Infante Carlos Luis were taken prisoners at San Carlos de la Rápita. They were later liberated. In 1861, suddenly and unexpectedly, Fernando, his brother Carlos and his wife Carolina died, probably from typhus. The three are buried in Trieste, in the chapel of Saint Charles Borromeo in the cathedral. ^ van de Pas, Leo. 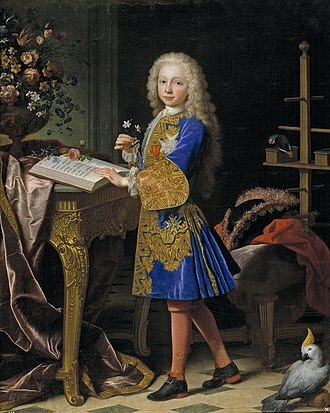 "Infant Fernando of Spain". Genealogics .org. Retrieved 2012-06-05. 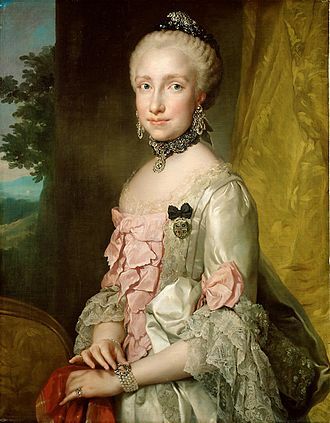 Infanta Maria Luisa of Spain was Holy Roman Empress, German Queen, Queen of Hungary and Bohemia, Grand Duchess of Tuscany as the spouse of Leopold II, Holy Roman Emperor. 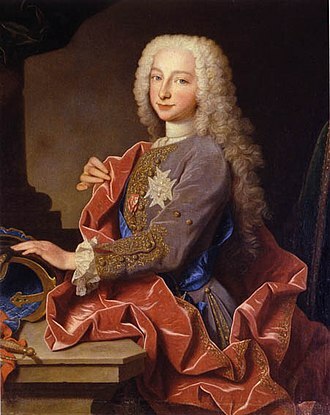 Maria Luisa was born a Princess of Naples and Sicily and her father, the future Charles III of Spain, had become King of Naples and Sicily in 1735 after its occupation by the Spanish in the War of Polish Succession. After her father became King of Spain at the death of her half-uncle, Ferdinand VI of Spain, in 1759 and she still had the use of the style of Royal Highness. Maria Luisa was born in Portici, in Campania, the site of the palace of her parents, King Charles, King of Naples and Sicily. She was the daughter, and second surviving child, of her parents. 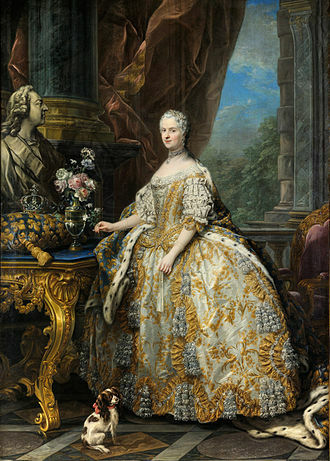 Her father became King of Spain as Charles III in 1759 and her first cousins included Louis XVI, Maria I of Portugal and Charles Emmanuel IV of Sardinia. 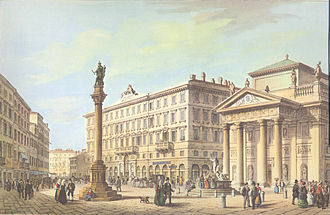 Before her marriage, she was made to renounce her rights to the throne of Spain upon the wish of her father, after her wedding by proxy, she traveled to Austria by way of Barcelona and Bolzano. 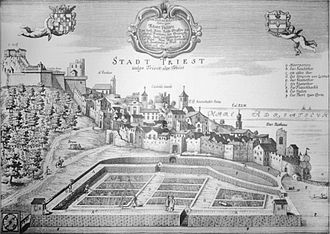 The next year, on 5 August, she married him in person at Innsbruck, the couple arrived to Florence 13 September 1765. They were settled in the Palazzo Pitti, by her strict Catholic upbringing, Maria Luisa was raised to endure any hardship of pregnancy and marriage without complaint, a role she fulfilled during her marriage. 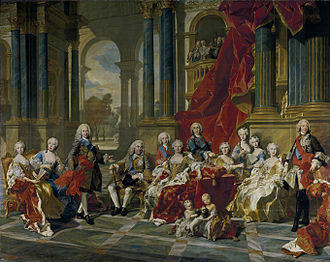 The relationship between Maria Luisa and Leopold has been described as happy, and Maria Luisa as a supporting and she was never crowned as Grand Duchess, though she was present at the coronation of Leopold in July 1768. 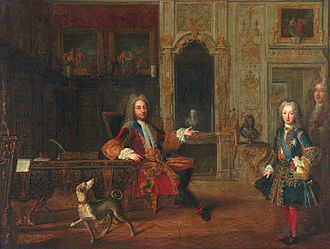 She accompanied her consort and her sister-in-law, Maria Carolina of Austria, at the marriage to her brother, the King of Naples. 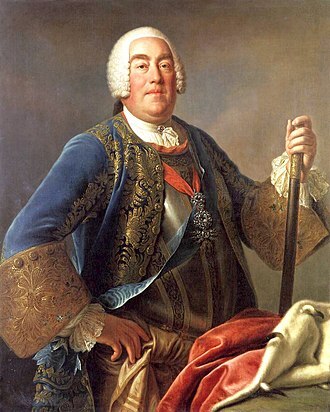 In 1770, she accompanied Leopold on his visit to Vienna, Maria Luisa and her spouse gave their children a very free upbringing, away from any formal court life, and occasionally took them on trips to the country side and the coast. She remained mostly unknown in the aristocracy, and restricted her private social life to a very small circle of friends. Trieste Cathedral, dedicated to Saint Justus, is a Roman Catholic cathedral and the main church of Trieste, in northern Italy. 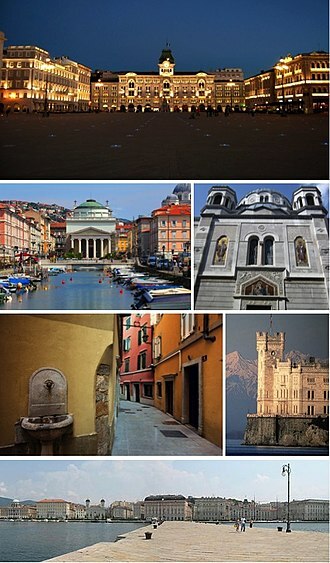 It is the seat of the Bishop of Trieste, in 1899 Pope Leo XIII granted it the status of a basilica minor. 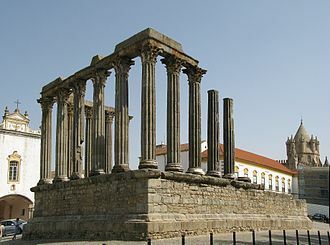 The first religious edifice on the site was built in the 6th century on some Roman propylaea, perhaps the entrance to a monument, this was commonly known as the Capitoline Temple, as a pyramidal altar with the symbols of the Capitoline Triad had been found inside it. Of the hall there remains part of the floor, integrated into the present-day floor. 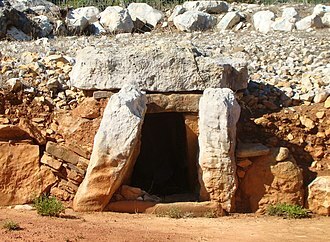 Soon after it was opened for worship, the church was destroyed in the Lombard invasion. 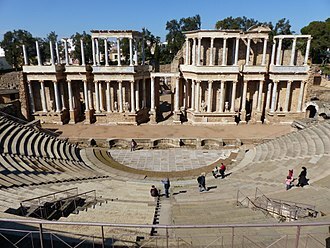 Between the 9th and 11th centuries, two basilicas were erected on the ruins of the old church, the first dedicated to Our Lady of the Assumption and the second, the original design of the latter building was subsequently lengthened. The Chapel of Saint Charles Borromeo serves as the chapel for the family of the Carlist claimants to the throne of Spain.